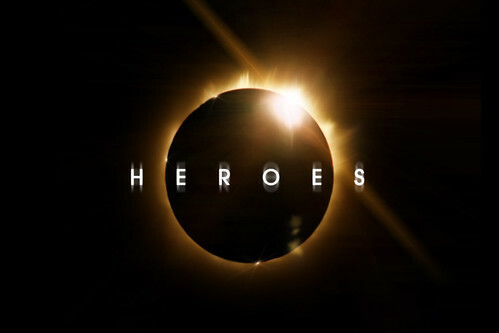 Brace yourselves, Heroes fans: It&apos;s time to save the world once again. NBC has ordered 13 more episodes of the "superheroes among us" drama, five years after the original series took its bow. Subtitled Reborn, the series is bringing back a couple of familiar faces (Jack Coleman, Masi Oka) along with a variety of new ones (including Chuck&apos;s Zachary Levi). The preview is short, but features a couple of images to make fans&apos; hearts swell. A mysterious person conjures up an aurora — perhaps a new power? Yet it&apos;s what the aurora surrounds that&apos;s most titillating: the original series&apos; iconic eclipse logo. Add a shot of Coleman in his character&apos;s signature horn-rimmed glasses, and you&apos;ve got a recipe for igniting fans&apos; passions. If the series can manage to live up to the teaser, it might help viewers forget what a disappointment the original series was. Elsewhere on NBC&apos;s fall schedule, as announced at their upfronts presentation in New York: Neil Patrick Harris also has a new show — a variety show, in fact. Things have been rough for the genre recently; a revival attempt by Saturday Night Live alum Maya Rudolph was greeted with mostly a shrug last year. Harris is the MC of awards shows like the Tonys, though. He may be the right fit. The network has ordered 10 additional series, including a Coach reboot and a new police drama called Shades of Blue starring Jennifer Lopez. They&apos;ll all debut in the middle of the season as other shows end or are canceled.